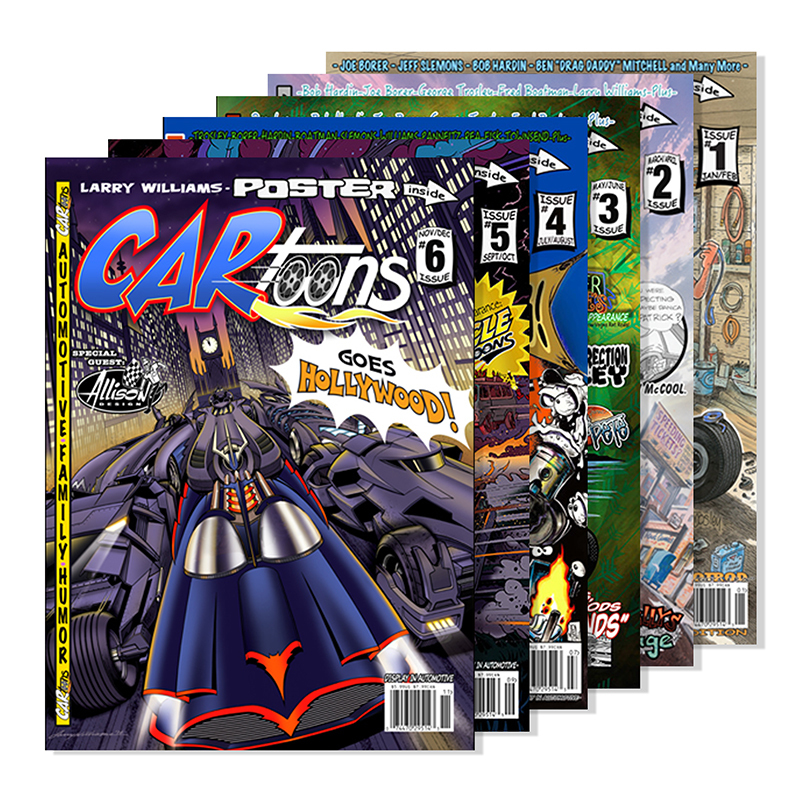 Our Subscriptions are bi-monthly for One Year and will start with the NEXT issue to be PRINTED & RELEASED. 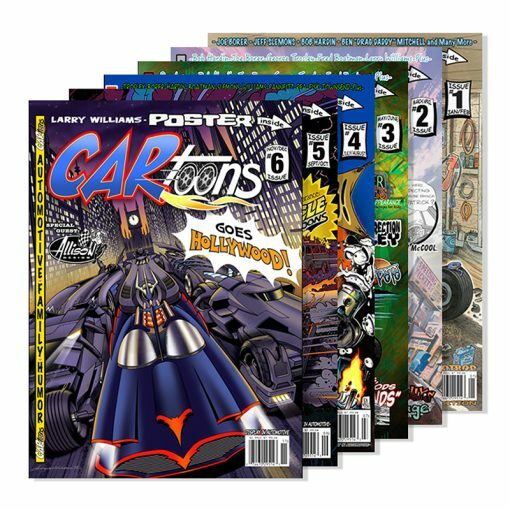 Our Subscriptions include 6 regular printed magazines that are released every second month and shipped right to your door in a white envelope at no extra cost! 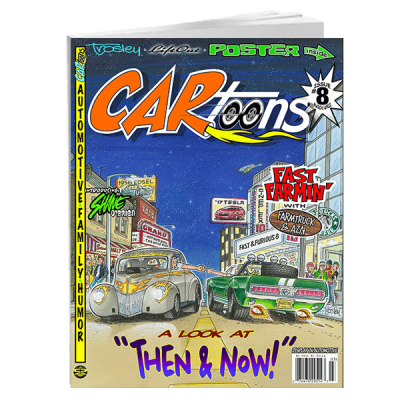 Each issue comes with a full color poster insert along with 64 pages of pure humorous automotive entertainment for all ages. 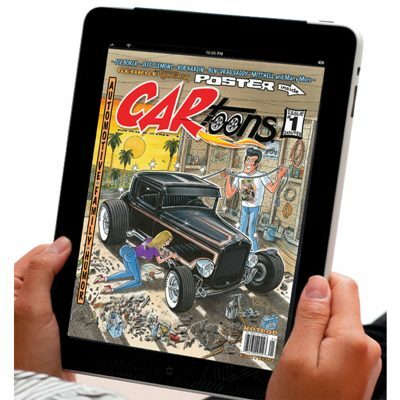 Our Subscriptions start with the next issue to be released hot off the press in the USA. CARtoons fully Thanks You for your support. 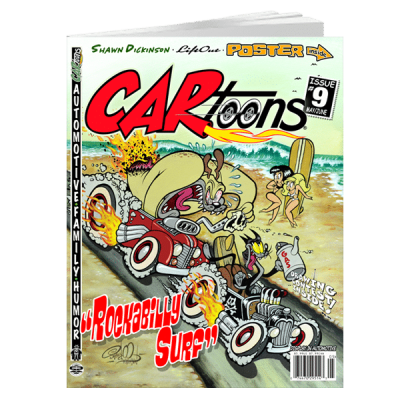 We are a family business with a passion for cars and CARtoons Magazine.